We often want to share photos on our iPhone with friends. 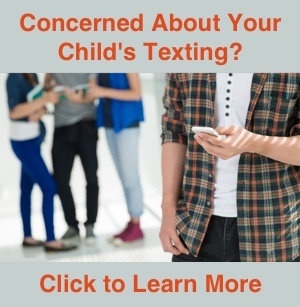 The photo can be posted to social media, but there are times when you may want to send it by text or email. 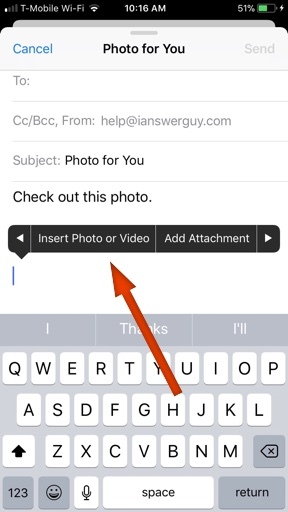 A photo can be sent directly from the Messages or Mail app, or it can be sent from within the Photos app. 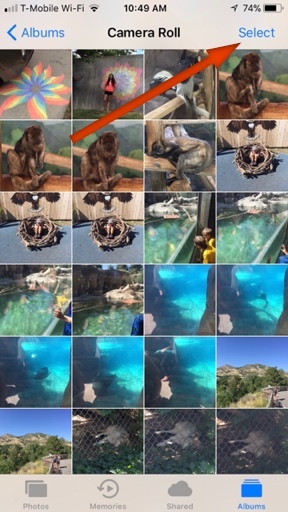 If you plan to share multiple photos, it’s easier to select all the photos at once from within the Photos app. Open the Messages app and start a new message. Type anything you want to say to the recipient, then tap the App Store icon to the left if the text entry field. An App Bar will be displayed directly below the text entry field. Tap the Photos app icon. he Photos app icon allows you to select existing photos from your photo library. 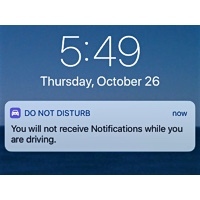 Select the photos you want to include in the text, then send the message as you normally would by tapping the upward pointing arrow. Open the Mail app and start a new email to the person for which you want to send the photo. Tap in the field for the email body and enter any text you want to send to the recipient. Next, tap just below the text and a menu will appear. Select Insert Photo or Video from the menu. You may need to tap the arrow at the right of the menu to scroll until the Insert Photo or Video option appears. Open the Photos app and select Albums in the bottom right corner of the window. Navigate to the Camera Roll if not already there. You should see thumbnail images of all your photos. Tap Select in the upper right corner of the window to select the photos you want to share. 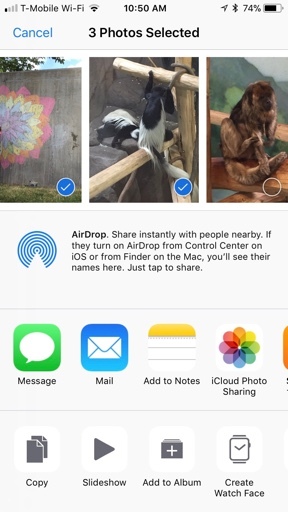 Once you’ve selected the photos, tap the Sharing icon in the bottom left corner of the window. A menu will appear with options to send the photos with Message, Mail, or other methods. Tap Message or Mail and the app will open with the photos already included in a blank text or email. Just enter the contact information for the recipient along with any comments you want to include, then send the message or email.